Wilmer Cutler Pickering Hale and Dorr is set to close one of its two London offices, with its 10-lawyer transactional outpost in the City currently being reviewed amid expectations that the office will be wound down. The review is likely to result in the US law firm refocusing its London practice heavily around its arbitration team at its existing Mayfair office, according to two current partners. Headed by life sciences M&A specialist, Joe Pillman, WilmerHale’s Alder Castle office near St Paul’s Cathedral is expected to be wound down nearly 20 years after it opened for business. A partner at the firm confirmed that ‘there are discussions to try to transition people out of there because it’s not something that fits with what the firm is doing’. The office currently holds five partners, two counsel and three associates carrying out litigation, corporate, finance and employment work. It was set up in the late 1990s by the legacy Hale and Dorr, before the Boston-bred law firm combined with Washington DC leader Wilmer, Cutler & Pickering in 2004. The firm has operated with two London offices since that merger over a decade ago, with Hale and Dorr having originally launched the site in a bid to secure tech-focused work. While WilmerHale’s renowned arbitration team at the firm’s other London office, on Park Lane, has grown in size and stature since the merger, the Alder Castle branch has shrunk over the last decade. Partners at the office include employment lawyer David Andrews, employee benefits specialist Paula Holland, IP litigator Anthony Trenton and corporate duo Pillman and Michael Holter. Legal Business understands that WilmerHale will retain Trenton, who launched the firm’s IP litigation practice in September 2014 when he joined from Dentons, as the firm looks to build a transatlantic IP litigation team following the arrival of big-billing Trevor Cook from Bird & Bird the previous year. Cook relocated to the US as part of that move. It is not clear if other lawyers in the Alder Castle office are to transfer to Park Lane. Pillman currently splits his time between London and Oxford, where the firm has a small office, and the team is known for its Thames Valley work. Julia Bracewell, who has served stints as a director of British Fencing and chair of sportscotland, and formerly headed Morrison & Foerster’s UK corporate practice, is a counsel at the Alder Gate office. Eighteen months on from its City launch, Boies, Schiller & Flexner has hired its third partner with Kenneth Beale joining the disputes shop from Wilmer Cutler Pickering Hale and Dorr’s arbitration group. The hire comes as the firm looks to bulk up its offering within its three core practice lines: investigations, litigation and international arbitration. Beale starts in his new role on July 6 and will be joined by three associates from various firms including White & Case. Beale, who was of counsel at WilmerHale with particular experience of disputes involving Russia, Eastern Europe and Asia, was understood to have been on track to partnership at the firm but decided to leave to join fellow arbitration partner Wendy Miles, who also left last September to boost Boies Schiller’s City arbitration offering. The arrival of the team will take office headcount to 15, which counts three partners and 12 associates including two secondees. 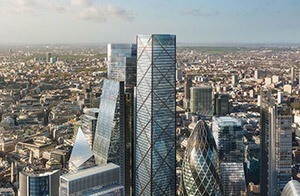 The firm has also taken out extra office space in Old Broad Street’s Tower 42 that will house up to 25 heads. After more than a decade at WilmerHale’s London and Washington DC offices, Beale returns to Boies Schiller where he spent time as a summer associate in the early 2000s under co-founder and managing partner Jonathan Schiller. Beale has experience of advising in criminal and corporate investigations, cross-border disputes and international arbitrations across the oil and gas, manufacturing, financial services, telecommunications, pharmaceuticals and defence sectors. Founded in 1997, Boies Schiller launched its first office outside of the States in London in the summer of 2013 with the hire of former Bingham McCutchen star partner Harrison. The launch came in a bid to service the firm’s major clients including Barclays, which Boies Schiller represented over Libor related issues. Recent work out of the London office has seen Boies Schiller advising the Class A1 Fixed Noteholders of Canary Wharf in a dispute to a spens payment, which is listed for trial in the final week of July; and obtaining a judgment from the High Court in April in favour of a group of Spanish conglomerate FCC’s debt holders. I grew up on a military base, I was an army brat in what was then West Germany, and they didn’t need lawyers; they had commanding officers and lieutenants. I went to university in the US and happily studied history and religion. I thought being the professor was what I wanted to do. In my last year, my faculty announced a freeze on hiring and liberal arts education was in a bit of a crisis. So, with all other options ruled out, I decided to go to law school.